The Alumni Association of SEMCOM is pleased to inform its Alumni base about the upcoming Alumni Meet. The next meet has been scheduled on 25th February 2018 from 5:30 PM. SEMCOM wishes all the graduating students, receiving Degree on the Convocation Day, a very successful life ahead. We welcome you to come to SEMCOM and share your experience of life after leaving SEMCOM. 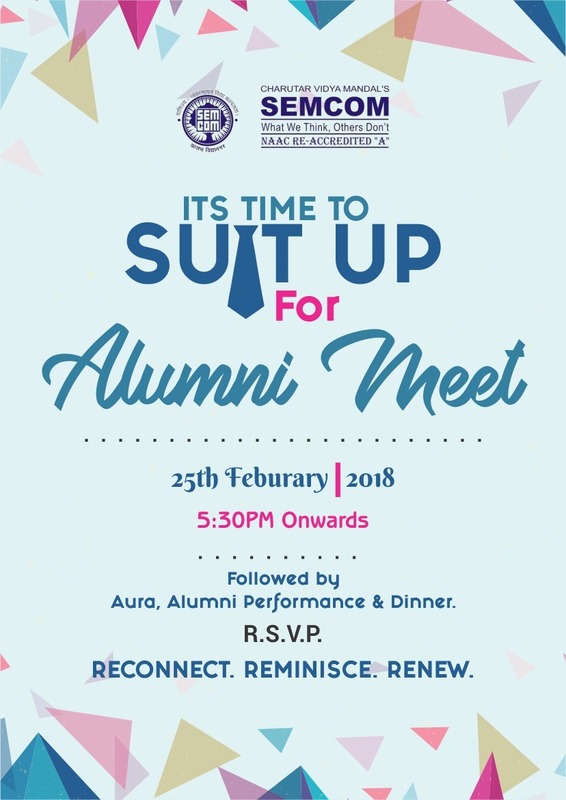 Also all the previous Alumni students are also invited to join. The last Alumni Meet was held on 15th December 2016. SEMCOM wishes to thank all those students who joined the meet and supported us during the NAAC Peer Team visit also. We look forward to many more meeting with you in the coming years. We also look forward to your unabated support in the development of the institution as well as the students.